RALPH W. WESCOTT was born in New Jersey in 1883 to John W. and Frances Oatman Wescott. 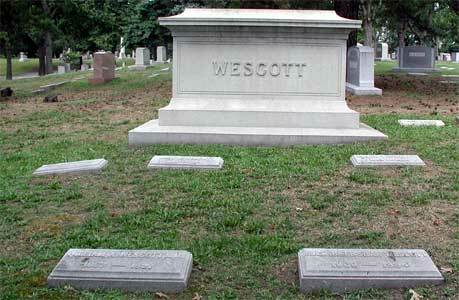 His father, John W. Wescott, was a noted trial lawyer and judge. John W. Wescott was also known for having given both of President Woodrow Wilson's nominating addresses. One was at the Democratic Convention in Baltimore on June 27, 1912, and the other at the Democratic Convention in St. Louis MO on June 10, 1916. Afterwards, when he was Attorney General of New Jersey he wrote a book on the events in Woodrow Wilson's life. Ralph Wescott grew up in Haddonfield NJ, where his family owned a home at 43 Chestnut Street. He lived his entire life at that address. He studied law at Yale, Harvard, and in London, England. 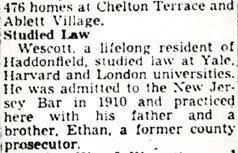 After completing his education he passed the bar in 1910, following his father into the legal profession. He served in the United States Navy as a Lieutenant during World War I, retiring in 1919. 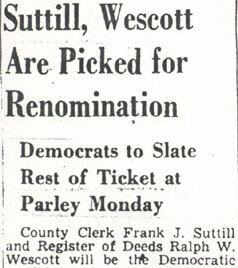 Ralph W. Wescott wed in 1924. His wife Marion bore him a son in April of 1925, Roger. 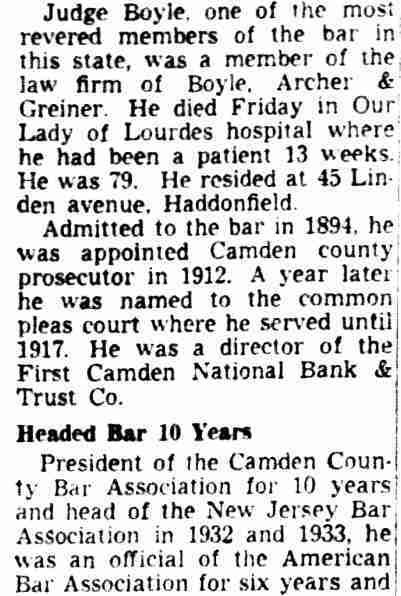 In the late 1920s and early 1930s as an adjunct to his law practice he taught tort law at South Jersey Law College in Camden. 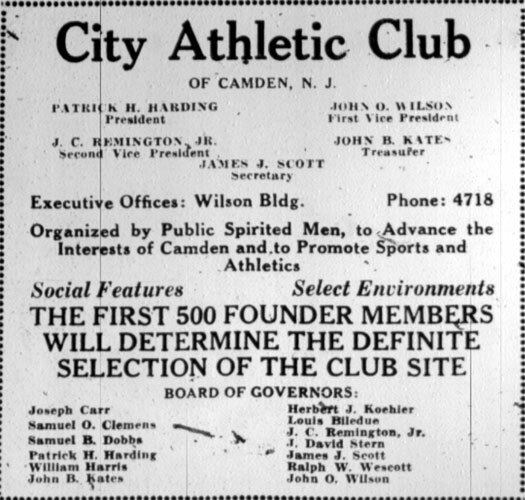 After the erection of the Hotel Walt Whitman and the opening of the Admiral Wilson Boulevard, many of the same individuals involved in the hotel project became interested in establishing an athletic club on the new thoroughfare. 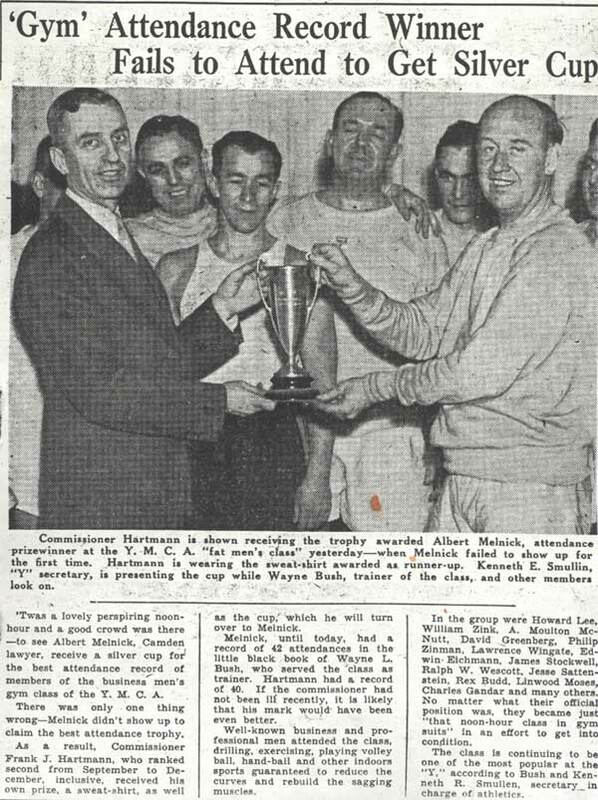 This group was originally known as the City Athletic Club, and among its members were J. David Stern, publisher of the Evening Courier and Morning Post newspapers, James J. Scott, lawyer Ralph W. Wescott, and realtor Samuel B. Dobbs. The first part of the planned building opened in the early 1930s. This building, which was razed in 2000, was known from the 1960s on as the Oasis Motel. 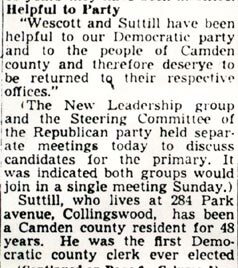 Ralph W. Wescott was slated to run for the New Jersey Stae assembly when, in the fall of 1993, he was appointed by President Franklin D. Roosevelt to the position of comptroller of customs for the Port of Philadelphia. He held this post from 1933 to 1938. 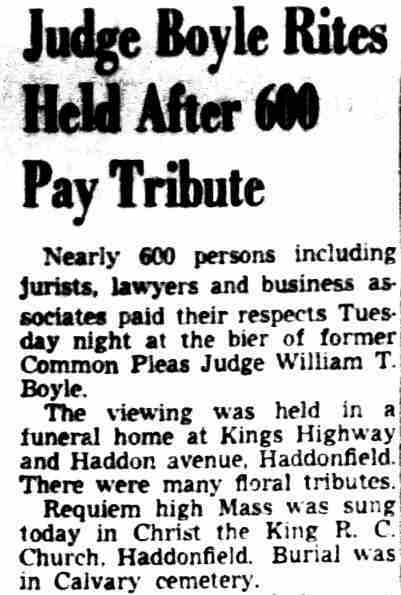 He also was a commissioner for the New Jersey State Supreme Court, and was a vice president and president of the Camden County Bar Association. He was also a member of the Walt Whitman Foundation. 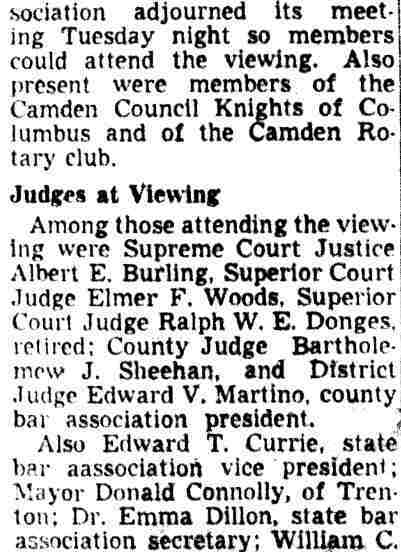 Ralph W. Wescott had a long career a a lawyer and in the civic affairs of Camden and Camden County. 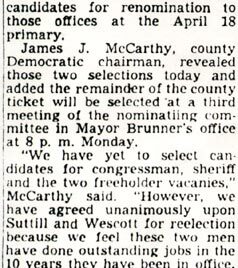 A Democrat, he was elected Register of Deeds for Camden County in 1940 and served in that post into he 1950s. 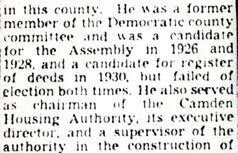 He also served as a member of the Delaware River Port Authority. 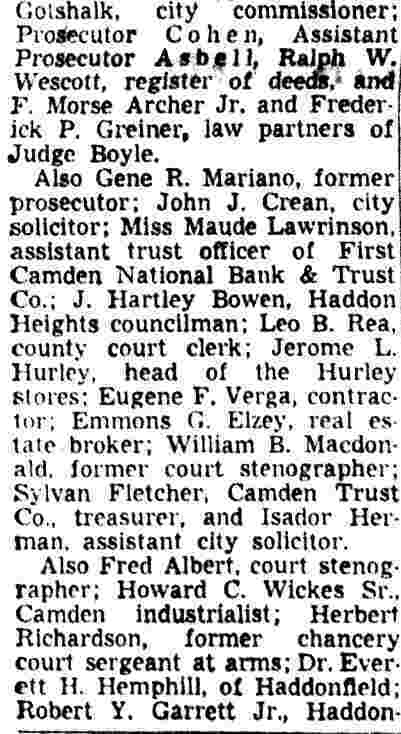 His brother, Ethan P. Wescott was at one time the Prosecutor for Camden County. 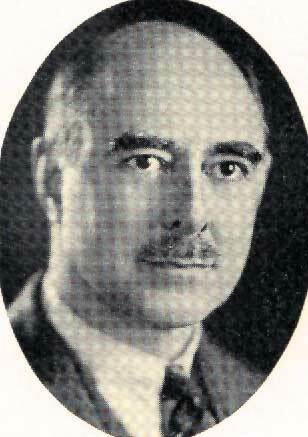 Ralph W. Wescott passed away in 1955. 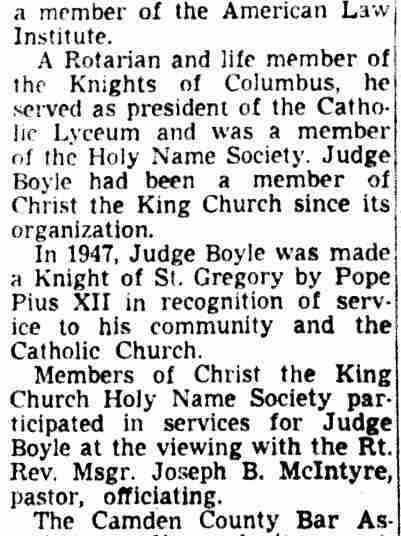 He was buried at the family plot at Harleigh Cemetery in Camden NJ, where he rests with his father and other family members. A Whitman year in America found new honors and oratorical glory for Camden's Good Gray Poet, whose 130th birthday anniversary was celebrated here yesterday under auspices of the Walt Whitman Foundation. 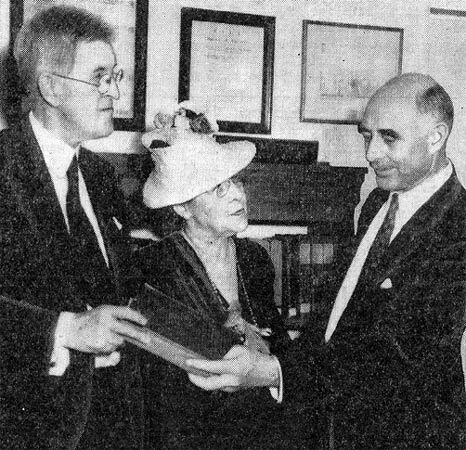 Left are seen Thomas B. Donaldson, who knew Whitman; Mrs. Elizabeth Cady Conover, and Ralph W. Wescott, member of the foundation. All three were speakers at the exercises held at headquarters of the Camden County Historical Society. 120th Anniversary of his birth; Donaldson Tells of Buggy Gift. Acknowledged by the world as the poet of democracy, Camden's own Walt Whitman was acclaimed here yesterday on the 120th anniversary of his birth as the "prophet of a new internationalism." This interpretation of Whitman and his famous "Leaves of Grass," which introduced free verse to the world and the rugged liberty loving character of America so lustily praised in his songs, was offered by Ralph W. Wescott, of Haddonfield. 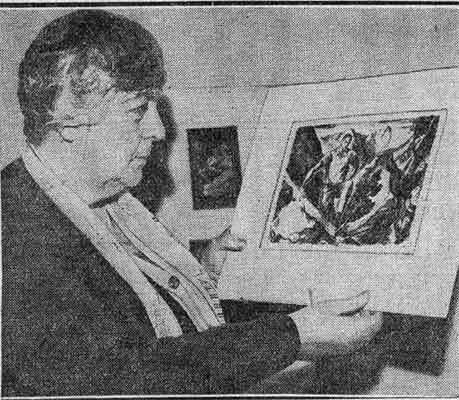 Wescott was one of three speakers for the Walt Whitman Foundation which is charged with maintenance of the Whitman home at 330 Mickle street as a literary shrine. 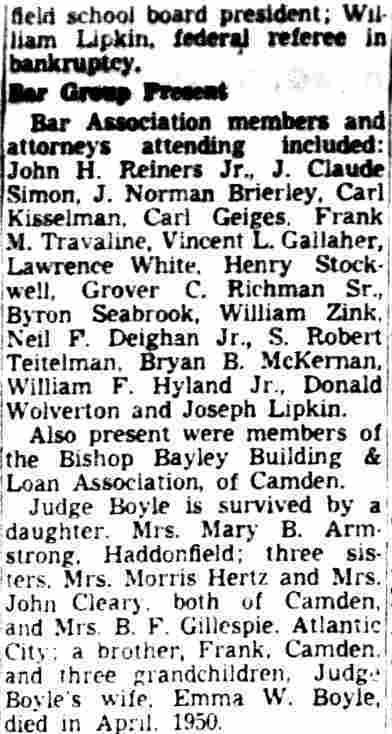 Also speaking on Whitman were Thomas, B. Donaldson, Philadelphia insurance man,, who as a boy knew Whitman, and Mrs. Elizabeth Cady Conover, also of Philadelphia. The meeting was held at the headquarters of the Camden County Historical Society, Euclid Avenue and Park Boulevard. Wescott, former comptroller of customs of the Port of Philadelphia and son of the late Judge John W. Wescott, who was an intimate friend of Whitman in Camden and who twice nominated Woodrow Wilson for the presidency, based his lauding of Whitman as an "international prophet" upon excerpts from Whitman's books. "It is the very catholicity of the man which causes us to celebrate his birthday anniversary," said Wescott. "He has been seen as the precursor of socialism and the completely going anti-socialist." "We almost shrink from news abroad, and we are bound to consider what Whitman's response would have been. In his poem 'Salutation', I think we find in Whitman the prophecy of a new internationalism, a poem in which he asked for universal freedom against slavery, and called for an international brotherhood." "It is unique and significant that on this 120th anniversary of Whitman the New York World's Fair acclaims him by statue and adulation, and in 1876 during the Centennial Exposition in Philadelphia Whitman indited a poem addressed to foreign readers in which he directed their attention to 'the peculiar glory of the United States' as something 'vaster, saner, more splendid in comradeship, knitting closer all nations and humanity.'" "Whitman himself wrote poets were necessary to fulfillment of a world brotherhood because their work was needed to vitalize the message of statesmen. "In the British-written preface to Whitman's 'Specimen Days in America,' which he wrote in Camden and Laurel Springs, there occurred the sentence 'Whitman preached goodwill between common people of all nations. In all the things written of him, Whitman said he liked that description best. " "So, in Whitman's own words we find the real message, and as expressed in one of his poems, and so which was an obsession with him in his declining days—we instinctively seek a 'universal, comprehensive solidarity of man.' There was no braver or more humanistic American writer than Whitman, nor more humanistic statement for the world than his 'Leaves of Grass.' "